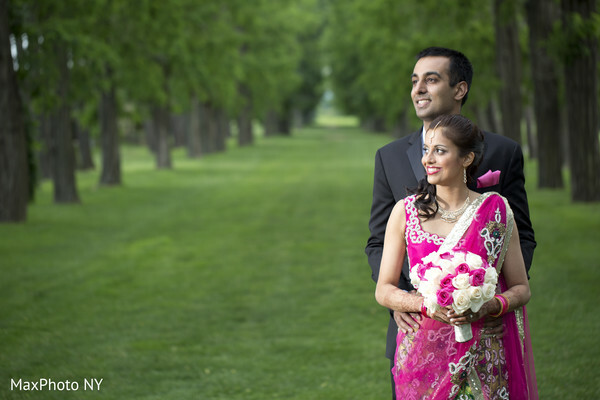 Ladies, the reception pics from this New York South Indian wedding by MaxPhoto NY and Glamorous Event Planners are to die for! 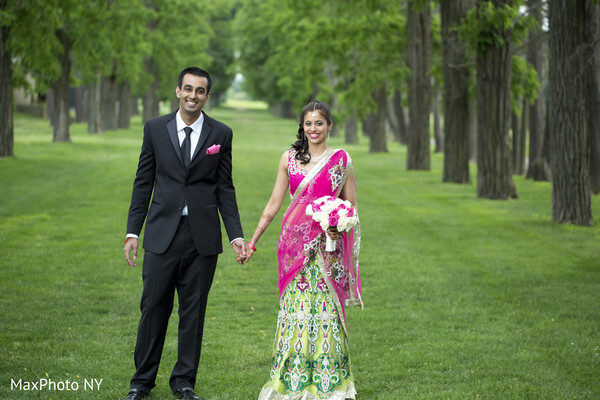 This might just be one of my fave lengha saris ever!! The hot pink and green color scheme along with the intricate beadwork make this get-up sensational! 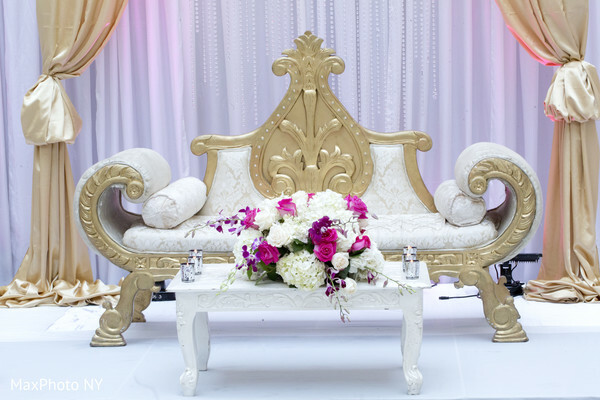 The sweetheart stage, provided by Stylish Events, is fit for a queen which is exactly what Maharani Usha deserves! 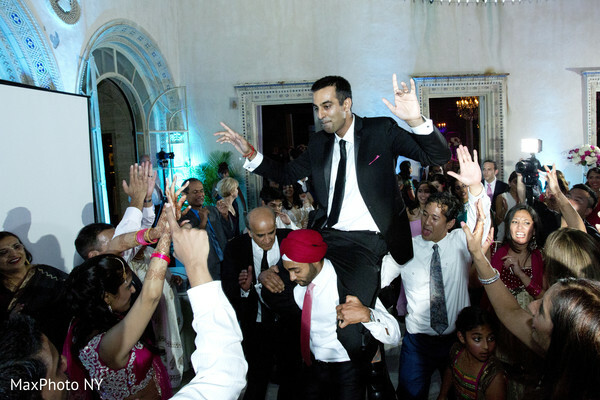 And Maharaja Sameer is totally having a blast as he's groovin' with the crowd to the sounds of Premier Entertainment! I must relive every moment in the gallery! 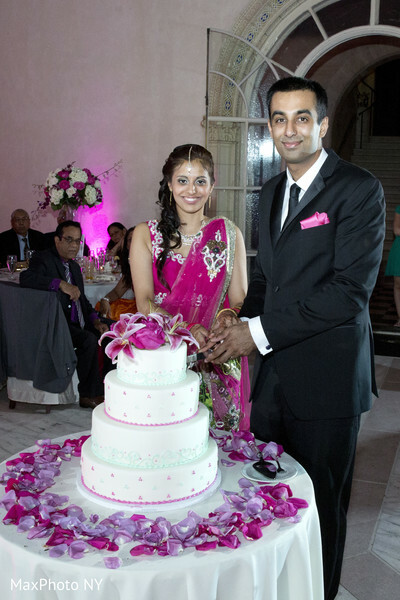 "For the reception, I wanted mostly pink hues for the makeup and voluminous curls. My wonderful stylist worked with me to make me feel and look my best!" "I knew for the reception I wanted to wear my grandmother's diamond necklace. Fortunately, I was able to find earrings and a tikka to match." 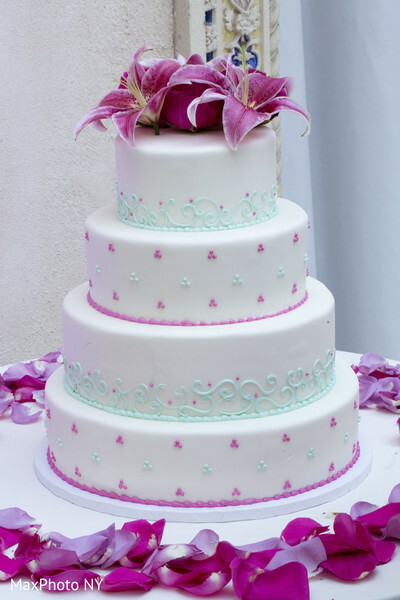 "Our wedding cake was another special part of the wedding. Each layer of the cake was a different flavor such as raspberry mousse/chocolate and pistachio and butter sponge cake. The cake was decorated by the wonderful Stylish Events." "My fondest memory from the wedding is dancing with my husband and living in the moment. We are both physicians in training and don't get to spend much time together. It was so special having our photo shoot, first dance, and just laughing and enjoying with our closest friends and family." What a special couple! Have a great rest of your week, my luvs! Stylish Events and MaxPhoto NY are members of the Platinum Guide. Love what you see? Explore their portfolios.